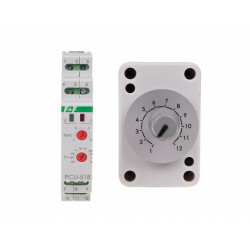 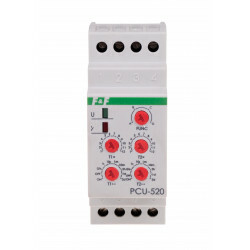 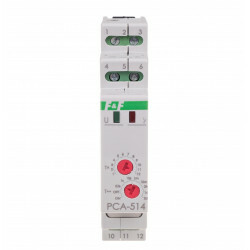 The relay performs a function selected in accordance with the regime set period. 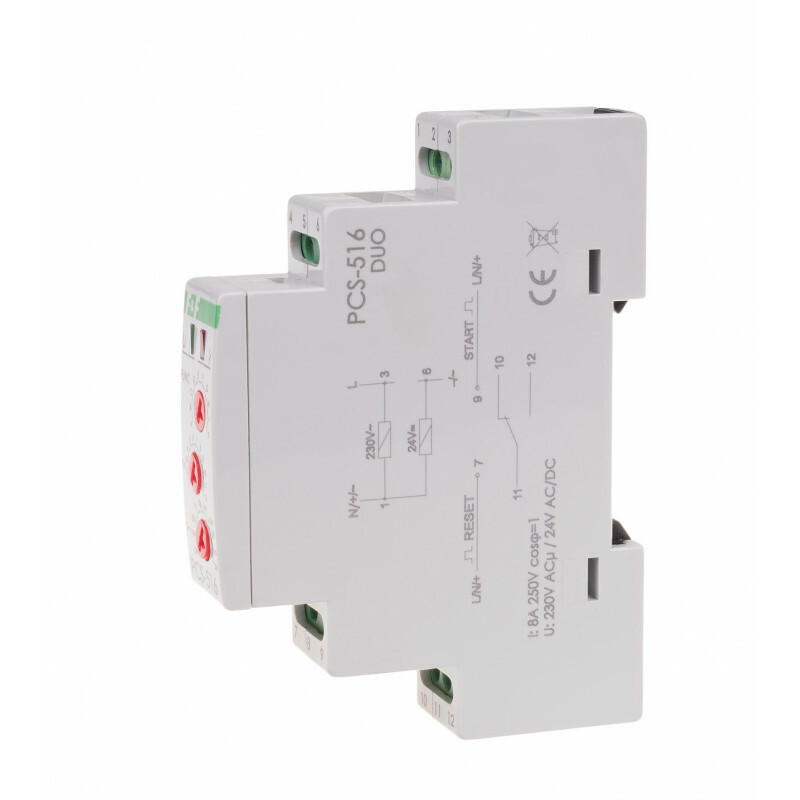 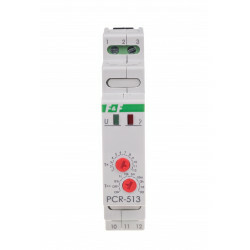 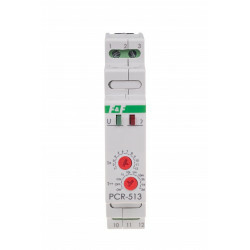 The choice of a specific range of time and work the relay function is to set the appropriate combination of rotary coded switches. 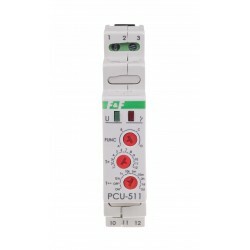 ON - position with power supply activated results in the permanent closure of the contact in position 3-7 (UNI) and 11-12 (DUO). 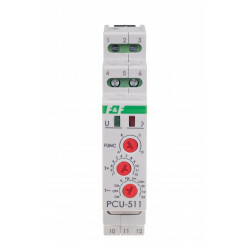 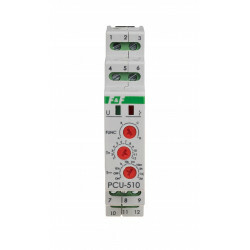 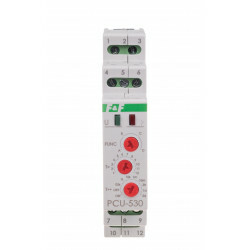 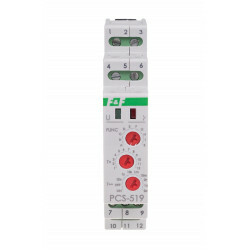 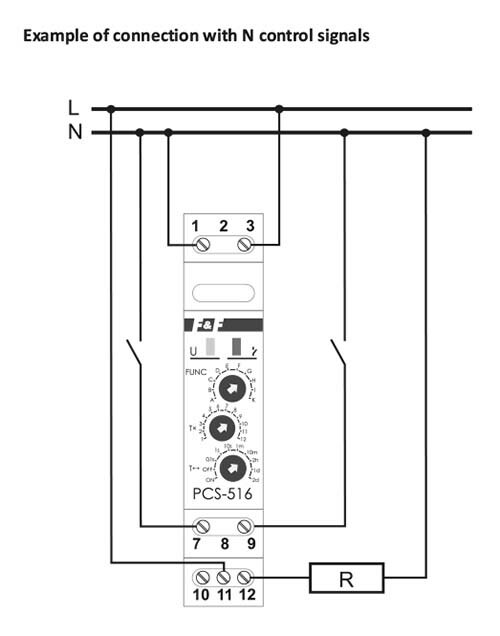 OFF - position (power supply activated) causes the contact to be permanently closed in the position 3-5 (UNI) and 11-10 (DUO). 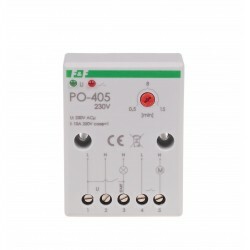 *With the power supply on, the system does not respond to the modification of time range and operation mode. 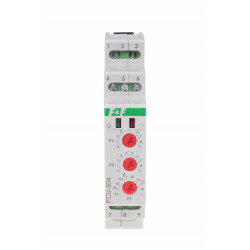 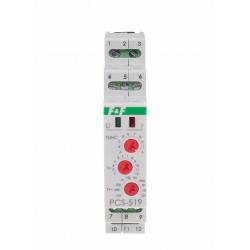 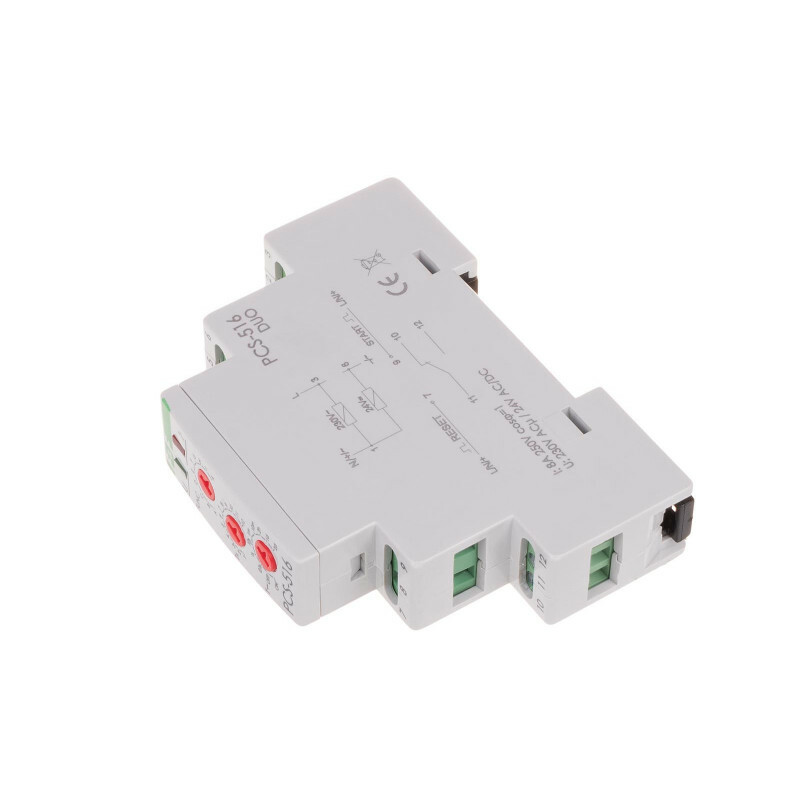 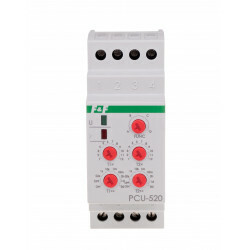 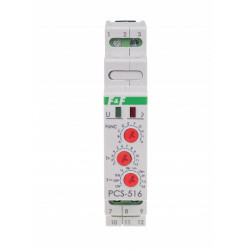 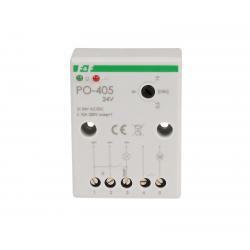 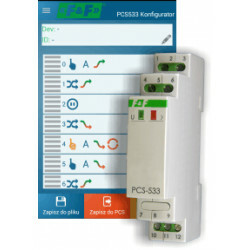 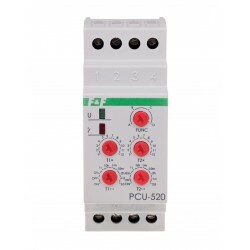 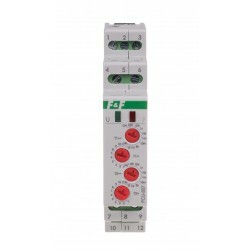 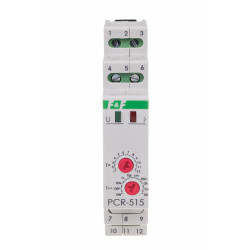 *The newly set time range and operation mode values are active after the power supply is turned off and on or after the RESET voltage is supplied. 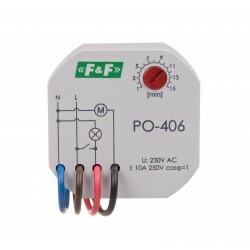 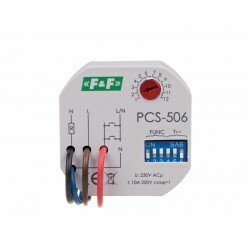 *If the function is changed into F, G, H, I, or J, one with the power supply on, and the START voltage is supplied, the system will carry out the previous function and then reset (switch into the newly selected function). 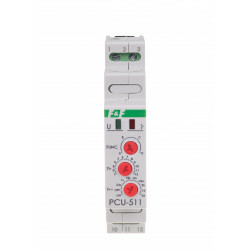 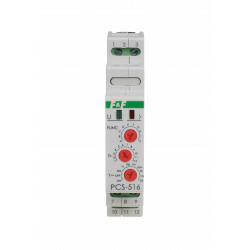 A further instance of the START voltage supply will result in executing the new function.